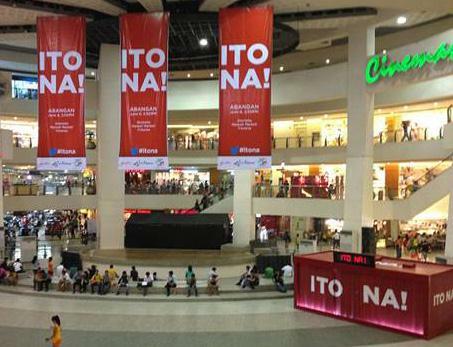 Mall goers at Trinoma in Quezon City were curious about the Ito Na! 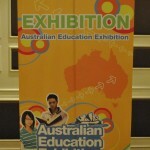 banners and the huge red crate that were placed a few days ago at the mall’s Activity Center. 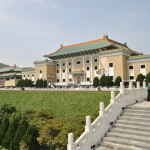 Soon it became known that the installation was part of a campaign for the launching of a new Coca-cola product. TV fans got excited when news broke out that four cast members from world-famous TV musical show Glee were invited to grace the Coca-cola launch here in the Philippines slated for June 8. 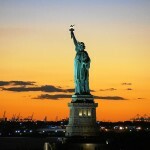 The Glee stars were to be joined by four young stars who are Coca-cola Happiness ambassadors. 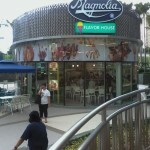 Aside from Trinoma, two other Ayala malls, Glorietta in Makati and Market Market in Taguig, and SM Masinag in Antipolo were to hold simultaneous launch shows. 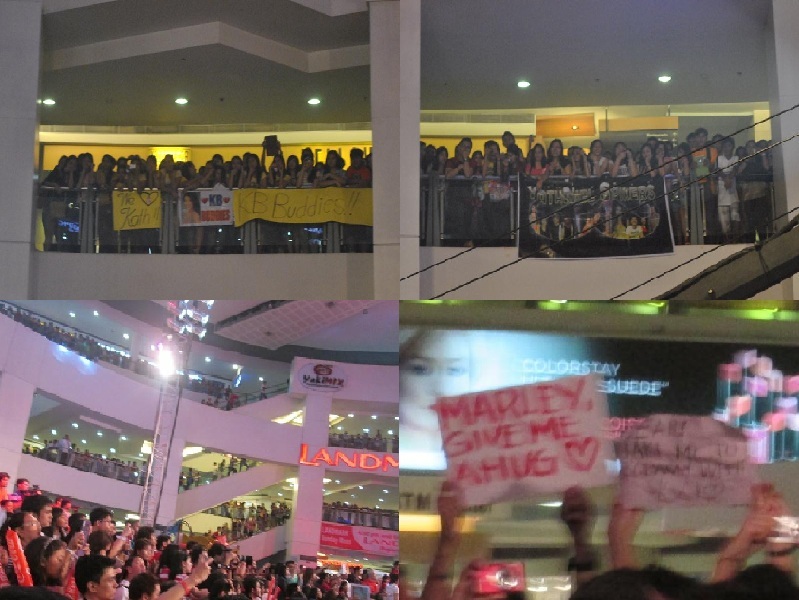 June 8 came and fans at Trinoma waited early and patiently to see their favorite Glee stars and local Coca-cola ambassadors. 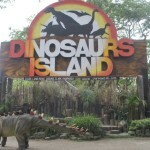 The launch program started at around 1:30pm with TV personality Iya Villania as host. Red and white were the obvious colors of the day. 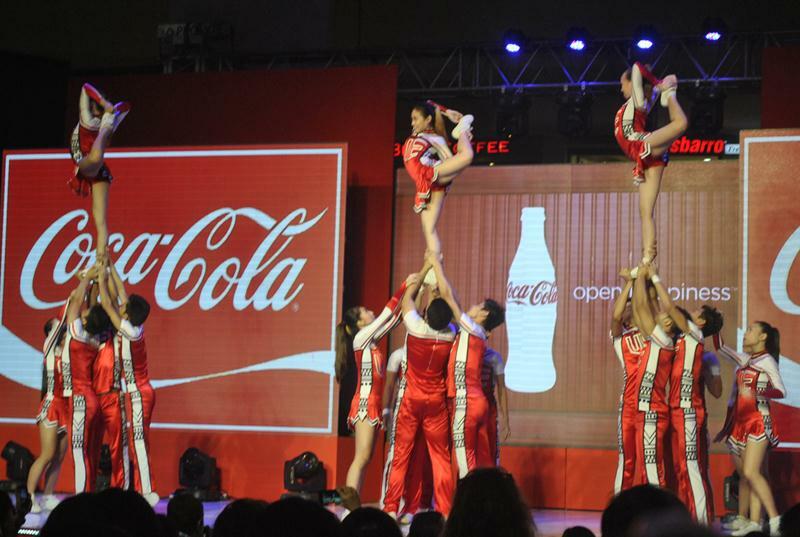 Here are the University of the East Pep Squad in their bright red and white outfits performing an energetic routine. The fans screaaaamed like there’s no tomorrow as Glee stars Jacob Artist, Melissa Benoist, Becca Tobin and Dean Geyer, along with Coca Cola Philippines Happiness ambassadors Joseph Marco, Julia Montes, Enchong Dee, and Kathryn Bernardo all shared the stage for the countdown to unveil the new Coke. 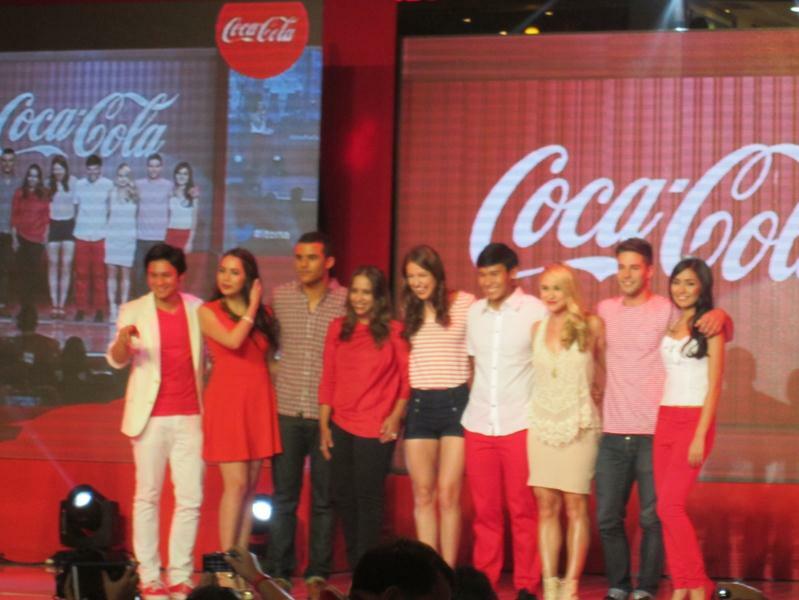 A Coca-cola executive (fourth from left) joined the young stars on stage. 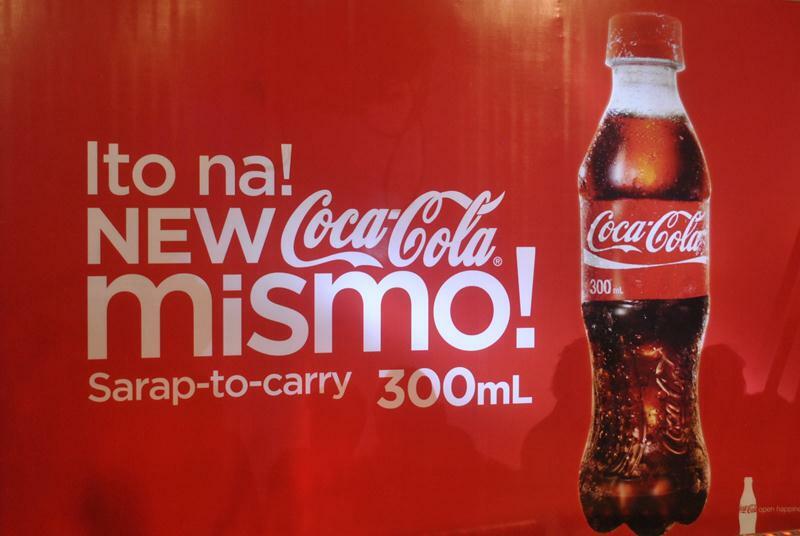 … and the new Coke Mismo in a 300 ml. PET bottle was revealed to be Coca-cola’s newest product offering. 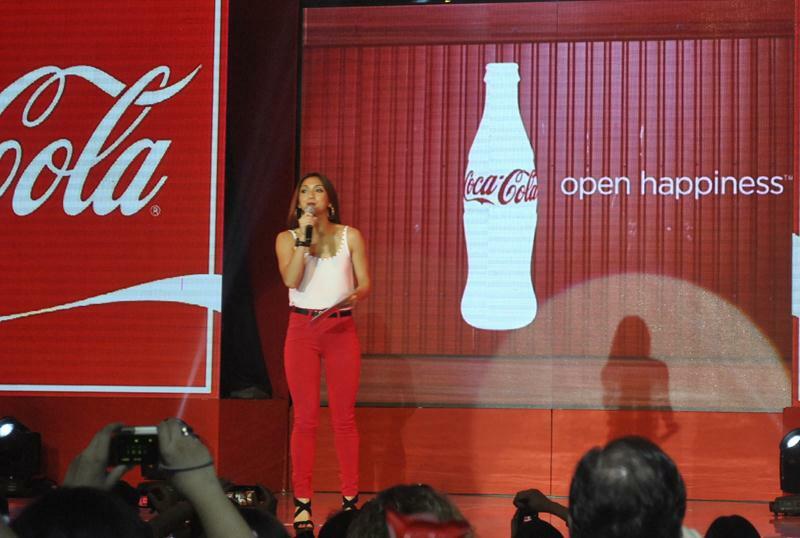 After the big Coke reveal, some lucky fans had the chance to take pictures with their favorite celebrities on stage. 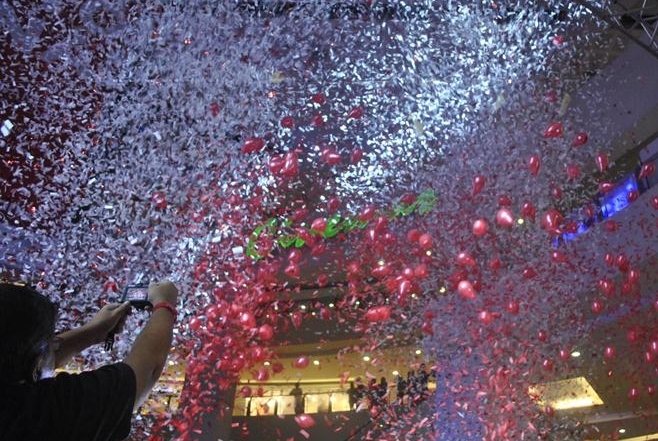 Then, Coke gave away Coke Mismo from a vending machine inside the red crate to everyone inside the Activity Center. Coke all you can!!! 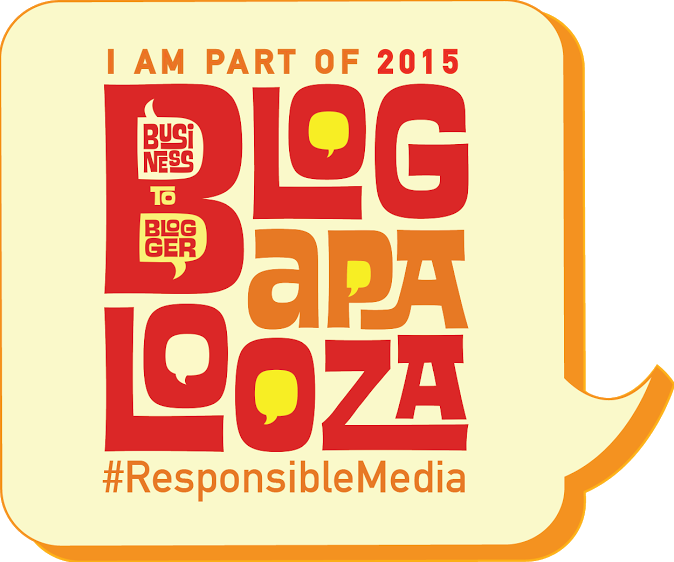 It was a fun-filled afternoon of happiness for fans and loyal Coke drinkers. 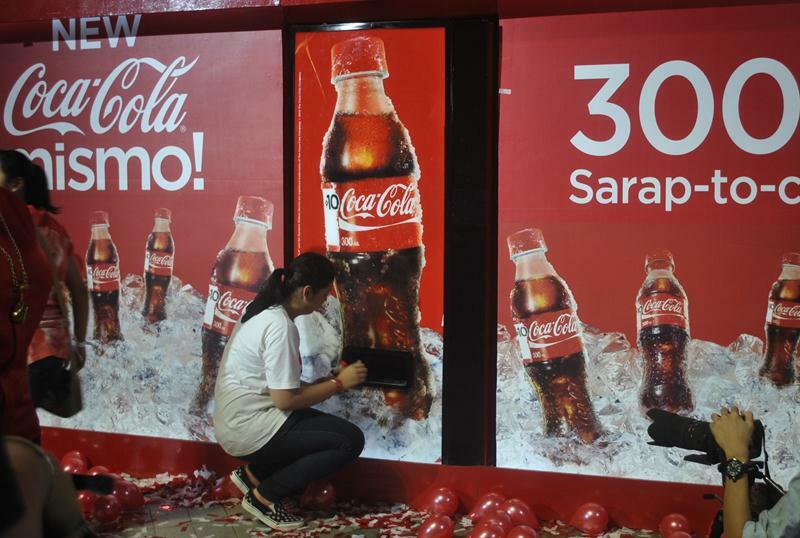 Coca Cola continues its mission to bring happiness to millions with the new Coke Mismo. At only P10 retail price, our favorite drink Coke remains to be an affordable thirst quencher. The new Coke in a 300ml PET bottle is easy to carry around anywhere so we can be sure it’ll be available anytime we need an ice cold refreshing drink. Coke Mismo is now available in our neighborhood sari-sari stores. 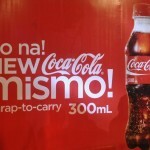 Coke Mismo – Ito Na ang Sarap to Carry!